Heat olive oil over low heat in a large pan or Dutch oven. Add onion, garlic, pepper, salt and sugar. Cover pan and simmer over low heat stirring occasionally to soften vegetables, about 15 minutes. 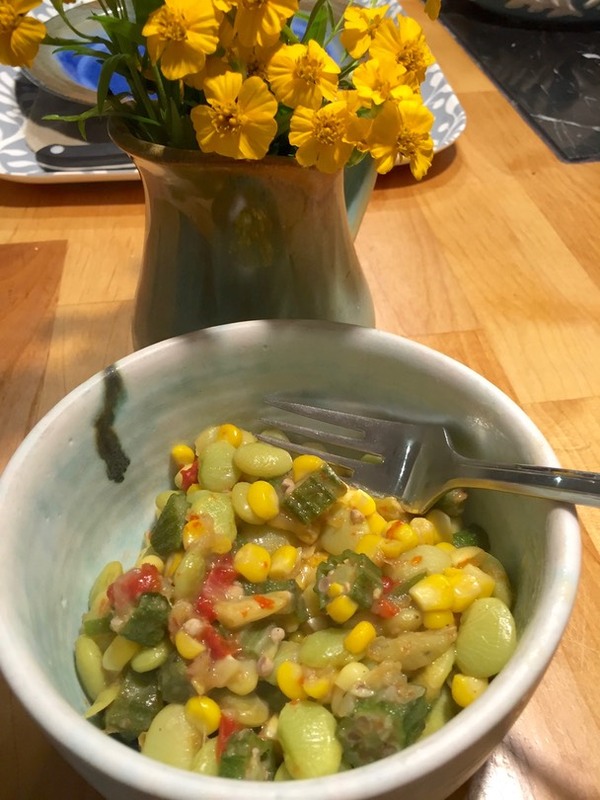 Add lima beans, corn, okra, ginger, and pepper. Simmer over low heat for 30 minutes stirring occasionally. Keep leftovers – it’s also delicious cold!